Used in camcorders. 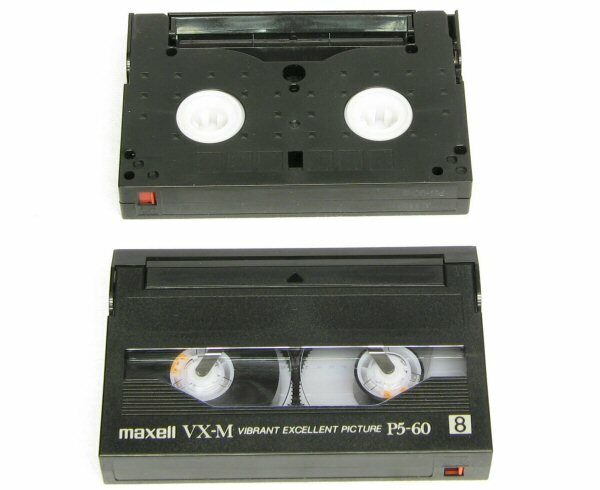 Mechanically similar to VHS but not compatible. The audio is recorded with the same head as the video.